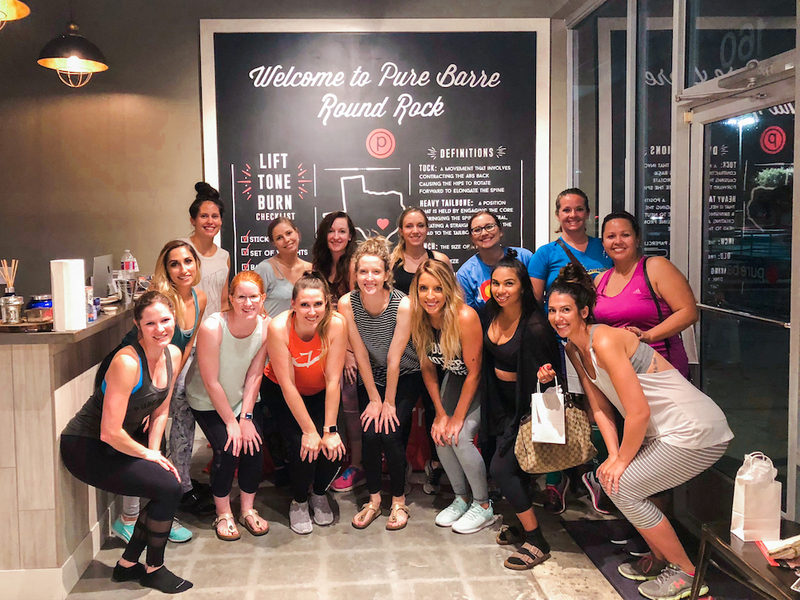 Last Friday I had the pleasure of hosting a Girl's Night Out at Pure Barre Round Rock! 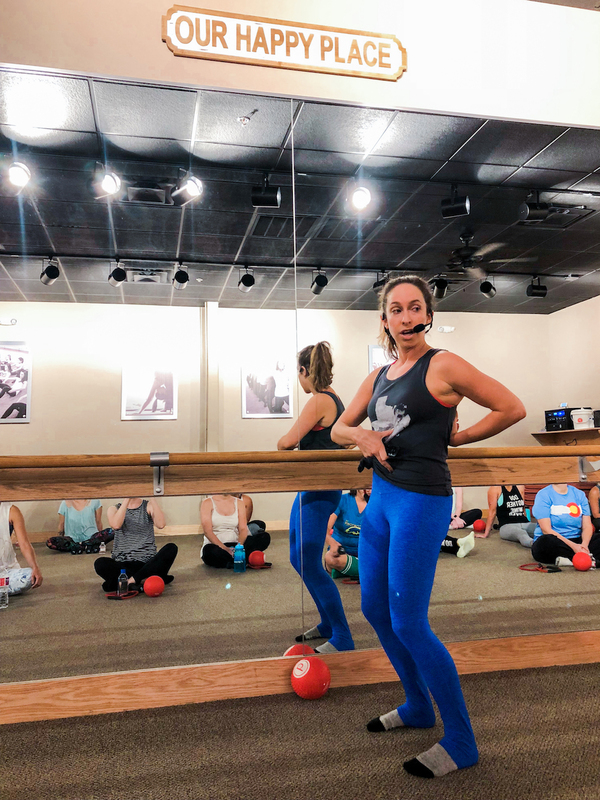 Working out might be unconventional for a night out, but in my eyes it was perfect. 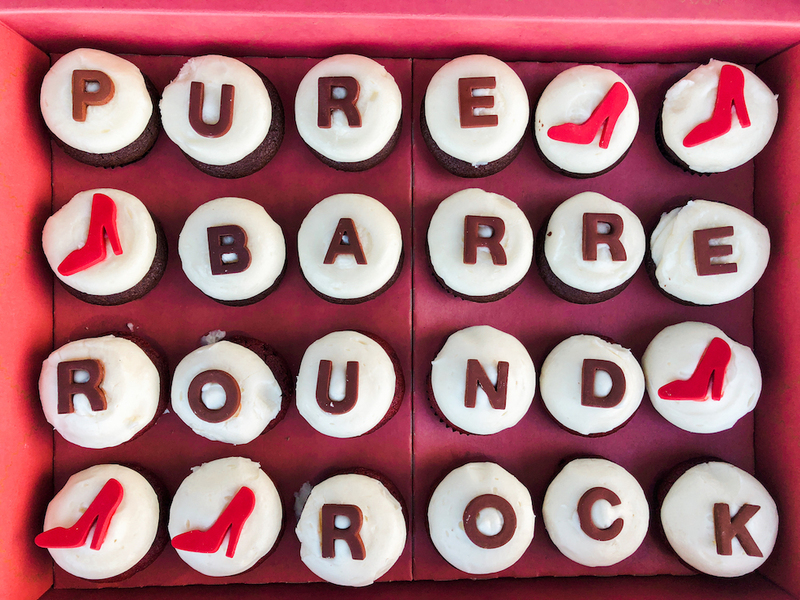 Read more about our night and all the goodies involved. When I reached out to my friends about this event, I don't think they knew what they were in for ; ). I said come have drinks, food, get swag bags annnndddd we're going to work out. 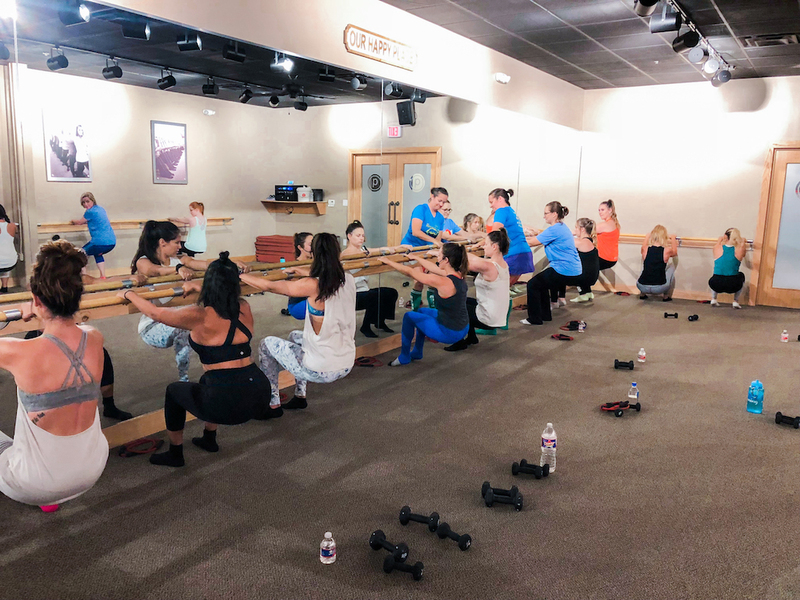 For most it was their first time, and the toughness of the class was a bit of surprise. I got a few evil looks half way through class, haha, but I bribed them with cupcakes afterwards. 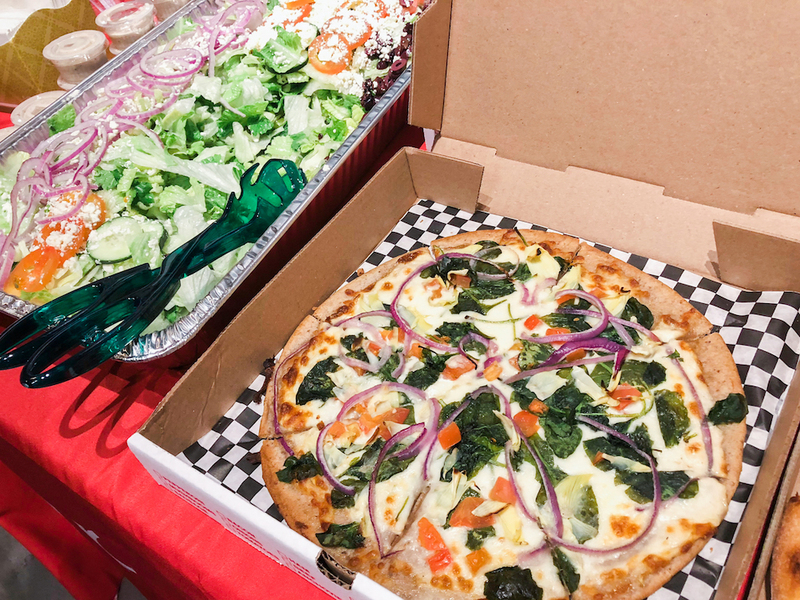 After an hour long class we enjoyed delicious New York style pizza from Pizza Delight! Eddie the owner spoiled us with 7 pizzas, a large Greek salad, and 2 gluten free pizzas. If you live in the Round Rock area check out Pizza Delight's specials. 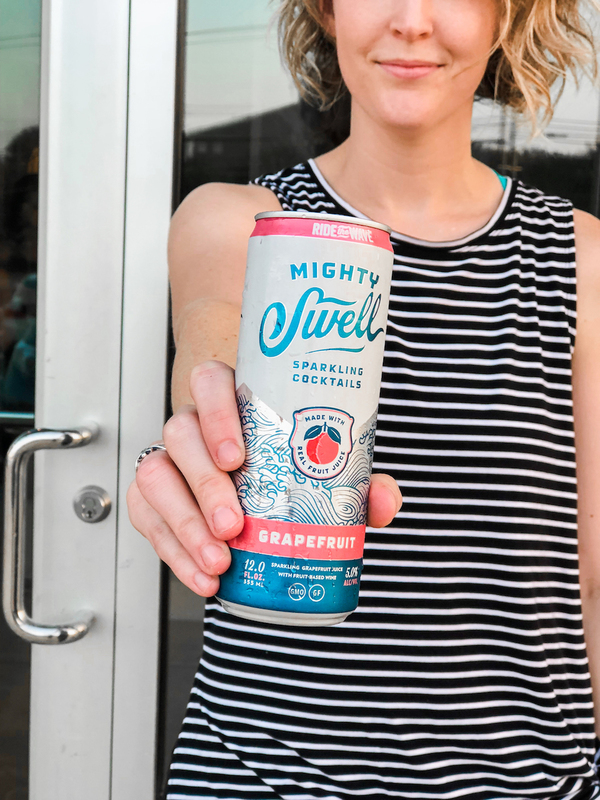 They have FREE craft beer and wine every Monday and Tuesday (2 per person)!We sipped on refreshing Grapefruit and Mango sparkling cocktails from Mighty Swell, and for dessert we had the most adorable cupcakes from Sprinkles. I stop by their new Domain location every chance I get. 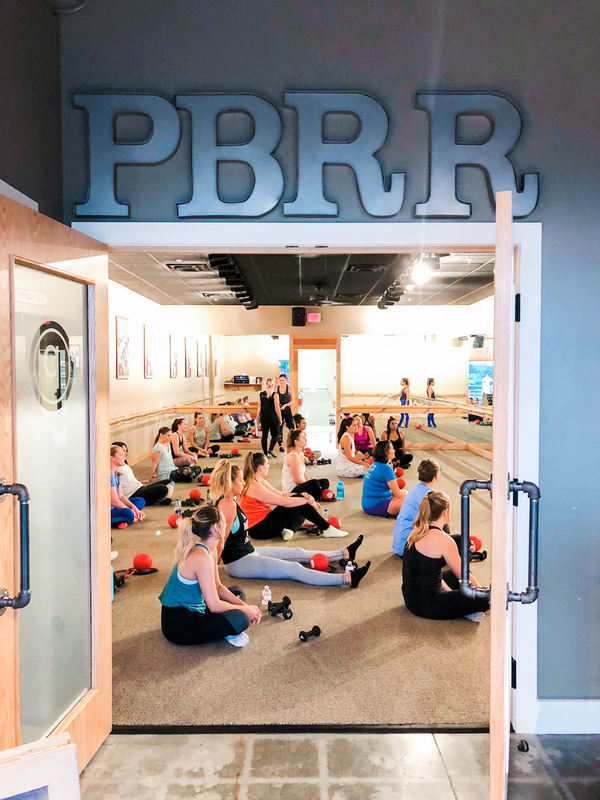 The fun part was when we drew names for two $50 Spa Social gift cards, a 1 month unlimited membership to Pure Barre, and everyone left with a Drybar gift card good for one blow out! 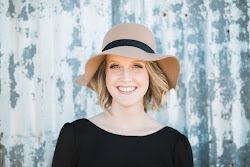 I always love introducing others to Spa Social, because it's like a spa wonderland tucked away in Round Rock. Thank you to everyone who came out, and thank you to my awesome sponsors who truly made our night! 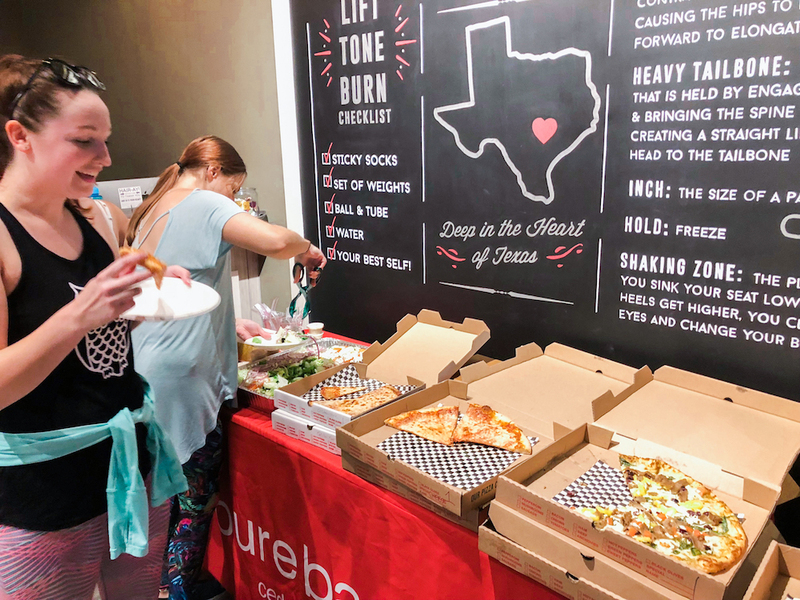 If you are interested in trying out Pure Barre, the Round Rock and Cedar Park locations offer a first week FREE pass.